Winter has stormed into the Piedmont, bringing snow, ice and plummeting temperatures that can wreak havoc on plumbing. A ruptured water line can cause extensive, costly damage and disrupt your life or business. Even worse, flood water can pose numerous safety and health risks, ranging from electrical shock to illness from waterborne pathogens or even toxic mold. With your family or business on the line, you want to do everything you can to prevent water from freezing inside your plumbing. But if you do think a pipe is frozen, don’t panic; frozen pipes don’t always rupture, and there are steps you can take to prevent pipes from bursting and safely thaw them. Keep the thermostat set to the same temperature both during the day and at night. By temporarily suspending the use of lower nighttime temperatures, you may incur a higher heating bill, but you can prevent a much costlier repair job if pipes freeze and burst. Apply heat to the section of pipe using an electric heating pad wrapped around the pipe, an electric hair dryer, a portable space heater (kept away from flammable materials), or by wrapping pipes with towels soaked in hot water. Do not use a blowtorch, kerosene or propane heater, charcoal stove, or an open flame. These tips should help minimize the risk plumbing ruptures from frozen pipes. But sometimes nature simply shoves aside our best efforts and the worst happens. 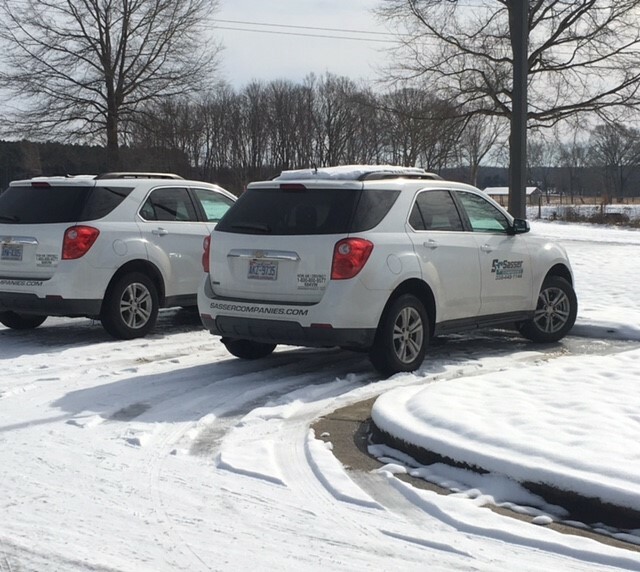 If you find yourself facing a water damage catastrophe from frozen, ruptured pipes, contact Sasser Companies at (336) 449-1144, our crews are available 24 hours, 7 days a week. You’ll talk to a real staff member, and professional help will be on the way.